Hi ya everyone! 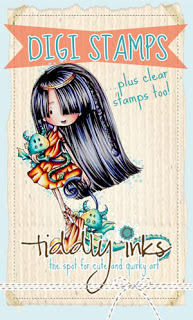 It's Tiddly Tuesday and that means new challenge and an adorable new image at Tiddly Inks. This challenge is a perfect summer challenge, Birthday Bash. It seems like there are a number of birthdays around here this time of year and really, who couldn't use more birthday cards in their stash? You can see all the wonderful design team cards on the challenge blog! Make sure to join us for your chance at a feature or gift certificate! 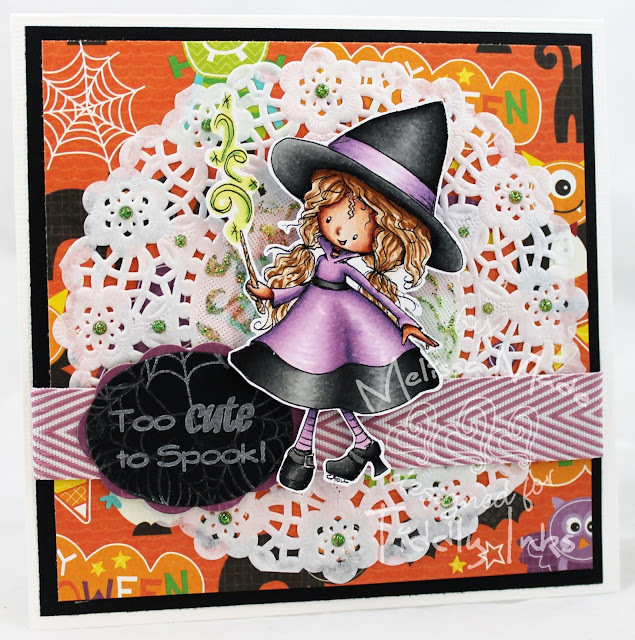 We also have an adorable new Halloween image in the shop, and she is only $1!!!! Woot, who doesn't like a cute image for soooo cheap! You can find Spell on Ya in the What's New Section at Tiddly Inks! Last, but not least, we have a new release and blog hop happening August 15th! Mark your calendars, as there will be prizes, amazing new images, and GLORIOUS inspiration from the new design team! Wow Melissa, these are fantastic - I love them both! Love soft colours on first card and how you coloured dress on second card. These are darling!!!!! Both are adorable must-have images! Oh Melissa, I absolutely adore both of these cards! 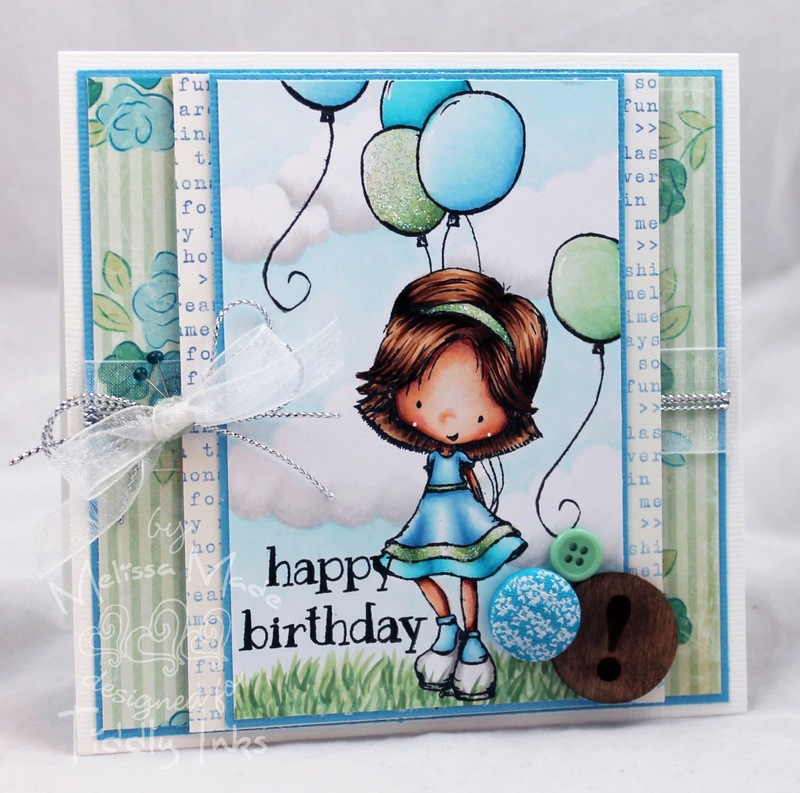 I LOVE the colors on your birthday card, they are just beautiful!